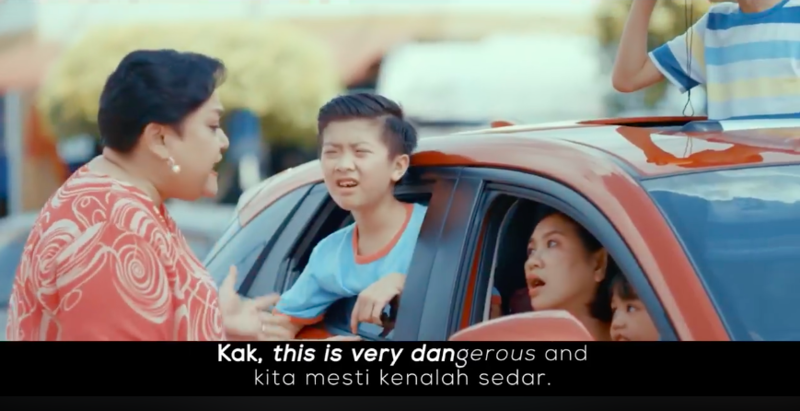 The Ministry of Transport of Malaysia recently released a video to promote road safety, featuring local celebrity, Adibah Noor, urging—or rather, singing about—better road behaviour. The video includes a cameo by the Minister of Transport himself, Anthony Loke. Whilst it is arguable whether an entertaining video can truly engender improvement in driving behaviour, the video does highlight all the road rules ignored by Malaysian drivers and just how awful they really are. Those stripey designs are not road art, you know. So many people do it, it’s like a national sport. The ability to squeeze and balance an entire family onto a kapcai (underbone bike) is quite impressive…but also dangerous. Still happens a lot in residential areas. Lewis Hamilton, your kid is not. Speaking of kids in wrong places…. Even by parents who try their best. Describe people who double-park in two words: inconsiderate and selfish. When you see all these bad behaviours in the span of five minutes, it is incredibly embarrassing. C’mon, Malaysians, let’s do better. 4. Double/treble parking because it is so much easier than walking 200 metres. 5. Just about any ‘normal’ behaviour of Kap-chai riders.